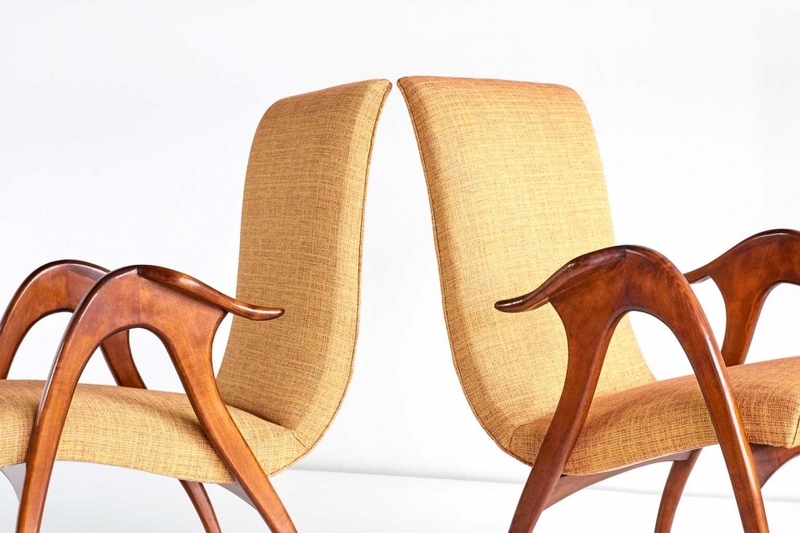 These sculptural armchairs were produced by Malatesta and Mason in Rome in the early 1950s. The elegant, organically shaped frames are complemented by the dynamically flowing lines of the seat. 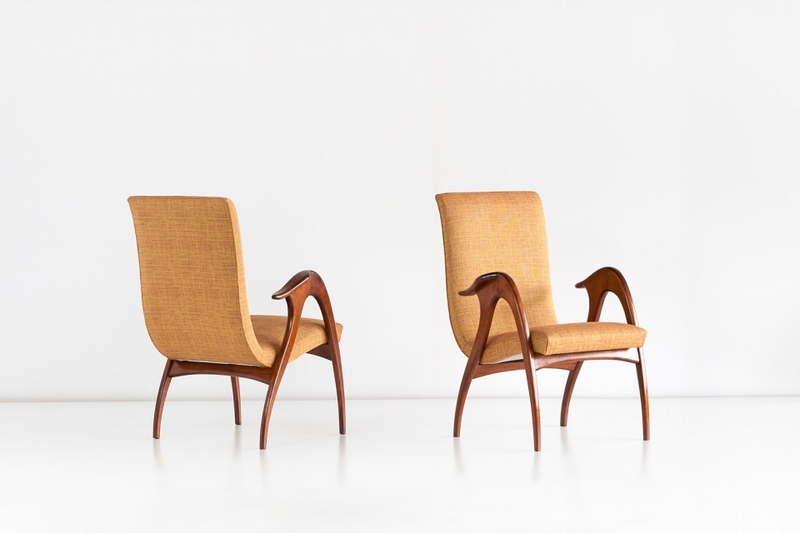 The legs and armrests are characterized by the warm color and striking grain of the walnut wood. 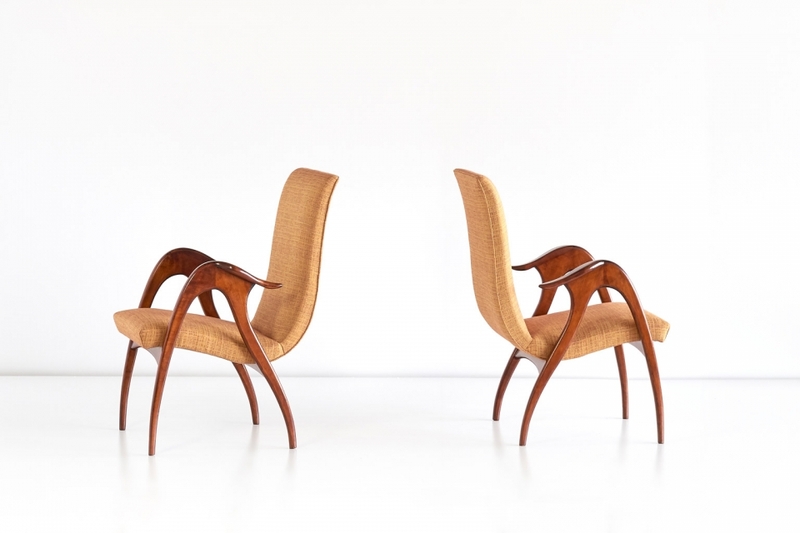 The chairs perfectly illustrate the originality and craftsmanship of Italian design of the 1950s. Literature: Charlotte and Peter Fiell, 50s Decorative Art, Cologne, 2000, p. 22.